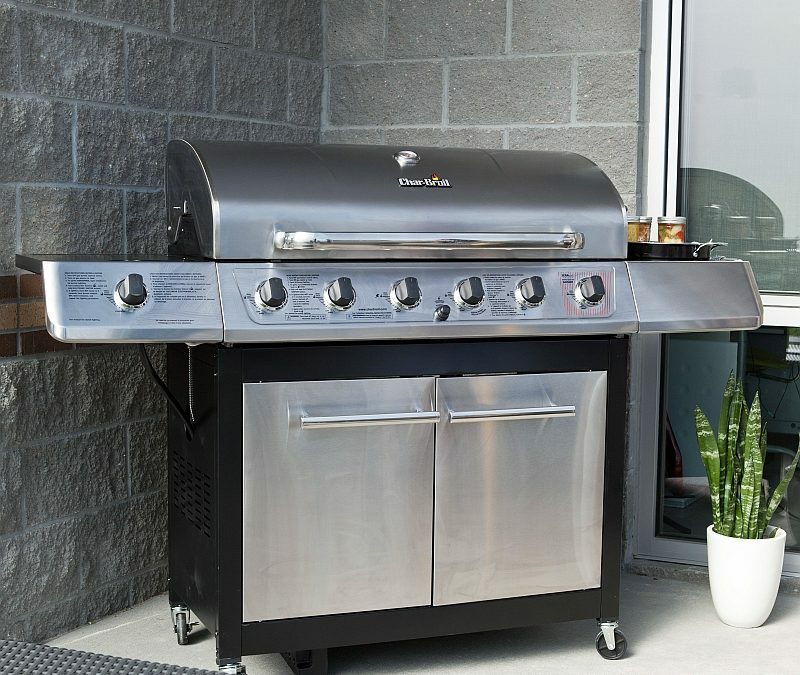 Your gas grill has been made to provide many years of backyard fun and enjoyment, provided that you take care of it properly. When it is not in use, it is a good idea to protect your outdoor gas grill from the elements. Rain, snow, hot sun, and wind all wreak havoc on your gas grill. The best way to protect it is with a gas grill cover. Weatherproof vinyl gas grill covers are available in one-size-fits-all drape styles or can be ordered to custom fit your particular grill. Whichever you choose, a cover is a simple and inexpensive way to prolong the life of your gas grill. As with any household appliance, it is important to keep your gas grill properly cleaned. Thoroughly cleaning your grill after each use will help to keep it looking and working like new for many grilling seasons to come. The outside of your gas grill can be sprayed with a solution of soap and water. Wipe down the hood with a damp rag or soapy sponge. Be sure to disconnect your gas grill from the fuel tank before cleaning the inside. Spray the stainless steel stove parts and grill racks with a degreaser and scrub them with a non-abrasive grill cleaning brush. You may get the stove completely wet without damaging it but always allow stove and burners to dry completely before use. To deal with the loose ashes that fall below your gas grill, consider purchasing an ash sweep cleaning system, which eliminates ash build-up after long periods of grilling. In order to keep your grill clean and ready for the next feast, as well as ensure that it remains in peak working order, regular care and cleaning of gas grills is recommended.